In our previous post we explained the reasons for not scheduling a December Open Night this year. As it turned out, the most likely date the public event would have occurred would have been December 17 and, unsurprisingly, the weather that night was awful! 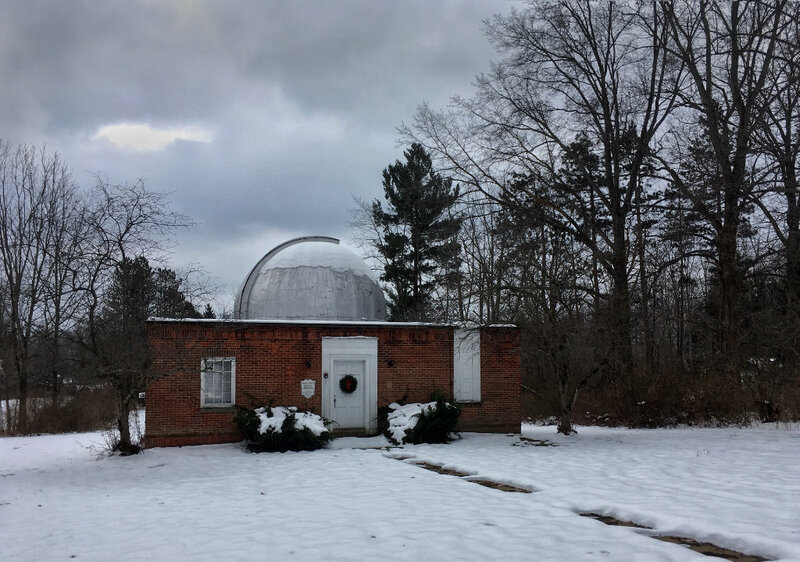 So, today we bundled up the big telescope for a long winter’s nap and, unless we are blessed with stretches of clear nights with tolerable temperatures in January and February, we won’t open to the public until March 2017. Our best wishes to everyone for a happy holiday season and a peaceful and productive new year! Well we give up! The skies and the calendar just are not coming into alignment for a December Open Night! Clouds and inclement weather (of various temperatures) are making stargazing impossible and have been plaguing us quite often this season. And there’s no way we would schedule a public event for Christmas Eve! So we’ll say thanks for your interest and hope more clear skies come our way next year. Normally at this point we bundle up the telescope for the winter and schedule nothing until March. If, however, the weather presents us with sufficient notice of good observing chances we may just present a “pop-up” Open Night before spring. We would love to show off the Orion Nebula through the old scope! Watch our Twitter feed and/or check back here after the holidays for any surprises. At any rate, we hope you will have a safe and warm winter and a wonderful new year. For those who observe it, happy Christmas to you! 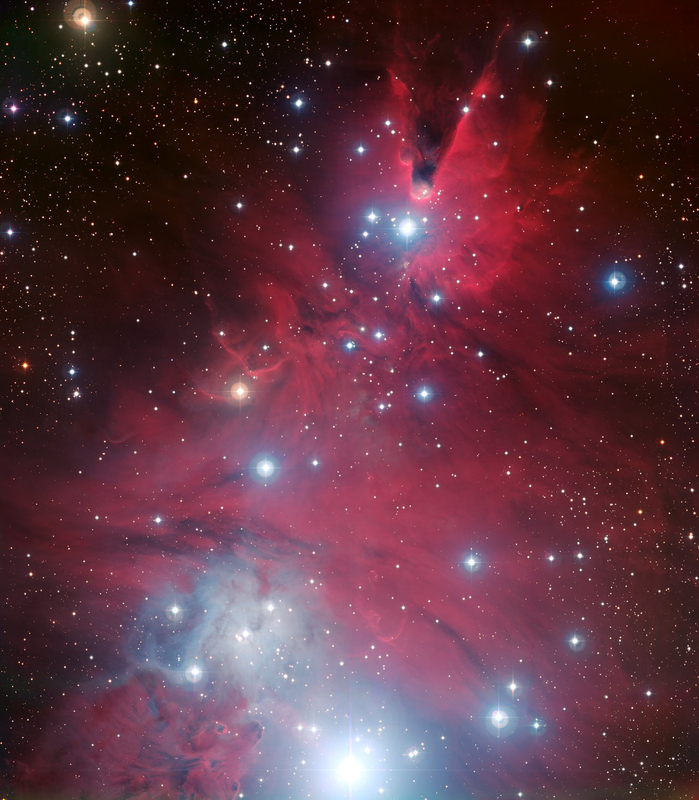 And for everyone, here is a beautiful image of the Christmas Tree star cluster, provided by the European Southern Observatory (ESO) to help make the season bright. Enjoy!